What is the weather today? What do I wear in this weather? What matches with this jeans or this t-shirt? No matter how big your wardrobe is , this is an issue that everyone has faced at some point in their life. So we have tried to solve this leveraging the resources provided by the sponsors. Notifies you "What to wear, based on the weather conditions." using the message notification which works with your schedule. Initially, we struggled to integrate the Twilio API when we implemented the sending the outbound messages through python to the end user as we were using the free version of ngrok. GCP was not working with the private key to bypass network security and even the mentors weren't able to solve that. We achieved our baseline goals in the end and fixed all the communication barriers between the API's. 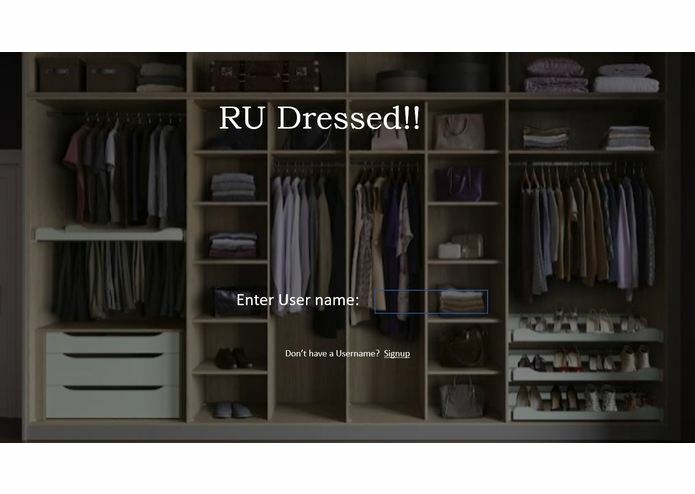 We were able to leverage vision API to detect type of clothes and their colours. Building a good product requires a lot of effort and challenges but if you keep looking for different ways you can find an answer. With good teamwork you can reach your goals. What's next for RU Dressed!! We have a prototype for clothes metadata that we want to integrate with our app to give recommendations based on colour and texture. I am responsible for building middle-ware using Flask Web Framework, which integrates other modules of our application and exposes our services as a rest api to be consumed by the IOs UI. Built the alert engine which is responsible of sending scheduled recommendation alerts to the users. And, deployed the middle-ware on GCP Virtual Machine. I worked on the front-end, making an iOS app to let users graphically interact with our backend clothing recommendation algorithms. It wasn't my first time using Xcode and Swift, but I did learn a lot about data persistence and HTTP requests! 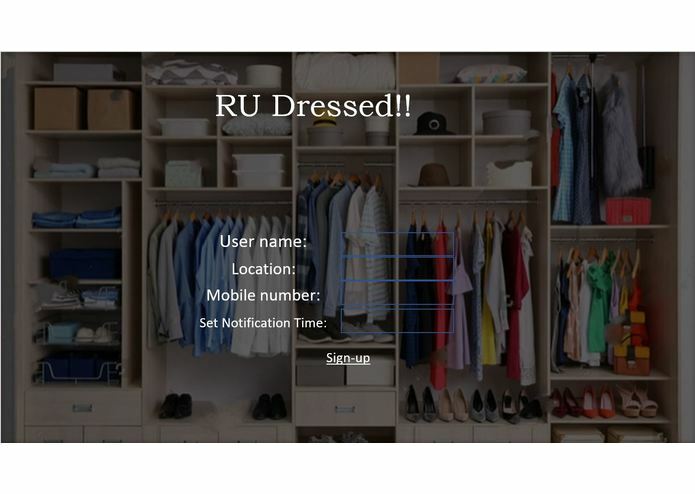 I have done the integration of Twilio API using ngrok with the App "RU Dressed" and implemented the message notification functionality to help user get the updates in real time and contributed to the flow diagram of the application.